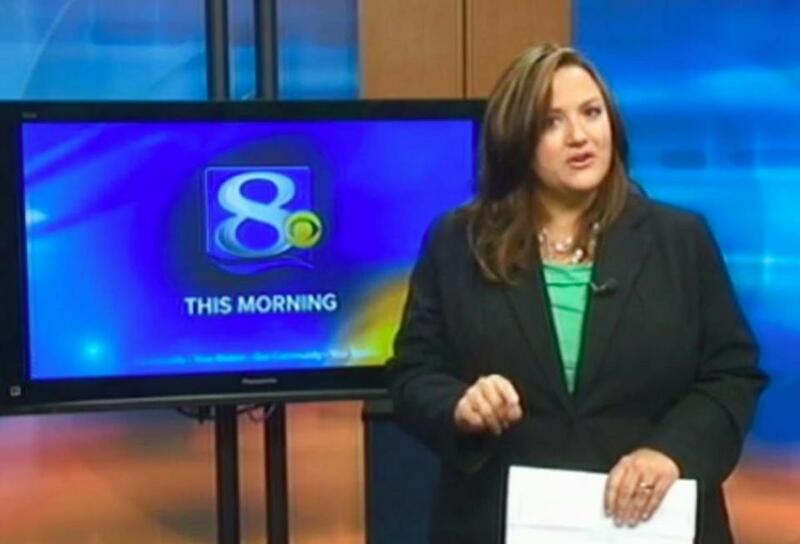 Television anchorwoman Jennifer Livingston responded to a viewer who wrote her an e-mail criticizing her weight. The uproar over the cadishness of self-appointed Wisconsin body monitor Kenneth Krause and the expanding groundswell of support for Jennifer Livingston, the anchorwoman he wronged, has obscured a couple of basic truths. The first one is, fat is not good. Now, before the legions who backed Livingston turn toward me, I hasten to add: This is vastly different from say that fat “people’’ are bad. Fat people are neither bad nor good, at least as evaluated by body size. My point is that the experience of being fat is not good. I was a fat kid who became an obese adult into my 30s (top weight: 365), and during that time, I hated being fat. Now in a normal-sized body for 20 years and counting, I can say that non-fat is better. Yes, part of my misery emanated from fashion and other severe opinions. Had I been able to control what other people thought and said about me, my experience would have been different. But this kerfuffle seems to focus almost entirely on what other people say and think, and fatitude is much bigger than that. Let’s begin with health: Overweight people, on average, are not as healthy. This isn’t to say that fat equals lack of health, but they’re not unrelated, either. Even if one escapes the big consequences, such as Type 2 Diabetes, heart disease, and cancer, as I did, there are many other effects that sullied my quality of life: I perspired more, I got out of breath doing pedestrian activities, I had more joint pain than others. Who wouldn’t rather be without those? I like playing sports, but being overweight, I often couldn’t keep up with my peers — that was a physical consequence, not the same as whether they wanted to play with the fat kid. Also, I didn’t understand that I didn’t need to be part of the crowd to be happy, especially when I was younger. There are many other physical effects as well. I broke three chairs during my fat years, and I still retain remnants of the resultant shame. Too, there were many chairs I struggled to fit into, in classrooms, in stadiums, on airplanes, practically anywhere. I was uncomfortable, and worse, because I was outsized. How reasonable is it for me to think “they” should make chairs to fit me, when I was well outside the norm? Meanwhile, yes, people were sometimes mean to me just because of my size. The key point, for this discussion, is that people are often judgmental about body size, and though I can advocate for change in the long term, my only short-term option is to accept the reality. The second truth I see missing from these circumstances is that individuals do have responsibility as role models. I don’t mean this as Kenneth Krause said he did, that Jennifer Livingston has a greater responsibility because she is on TV; I don’t accept it any more than I have in the realm of sport, where critics have argued that because athletes have higher profiles, they are subject to higher moral standards. The common rejoinder to that argument is that role-modeling begins at home, and with that I do agree. I have a son, whom I’m sure I will fail in more ways than one. But I do believe that my behavior and values will influence his, and I’m focusing on nutrition, health, and activity over TV as vital interests. In a world awash with crappy kids’ TV is underwritten by processed-food behemoths, I know my wife and I aren’t going to be the only influences, but that doesn’t remove my responsibility to model behavior I want my son to see first. This isn’t about Jennifer Livingston; she’s just the focus of the moment. But If I had the chance, I know what I’d ask her, despite her finger-pointing, on-air retort: Would you want your daughters to experience the same weight struggles that you have? I know how I would answer, and I think I know how many overweight people would answer. It may be one’s right to be overweight, and to be free of unwanted snark about it, but that doesn’t make it good.